Roll by roll or piece by piece as your request with a poly bag inner and knitted bag outer or CTN outer. Most is white and blue,Can do as your standard sample. 1.We've committed to non woven fabric for 20 years experience. 3.Our production line machines are imported. 4.Equipped with skilled staffs and hard-working workers. 4. Delivery Time: 5-7 days for samples; 25-30 days for batch goods. 5) Sales Service: Any information from you will be responded within 24 hours. 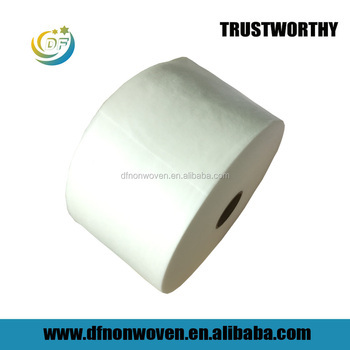 Shenzhen Dengfang Nonwoven Product Co., Ltd , is a Professional Manufacturer of activated carbon cloth, non-woven activated carbon, activated carbon fiber, carbon fiber, cabin filter, active carbon filter, activated carbon filter cartridge, charcoal water filter! We are a really factory and we have international advanced equipment, top product testing measures,quality certificated system and the modern lean production managing team, the goods are produced by strictly supervision and inspection. We have exported to more than 10 countries and regions, which have gained good reputation from our costumers all over the world. Meanwhile, all of our customers become not only our best business partners, but also our best friends. For our sincere and perfect service, competitive price, and advanced management expertise, we had established friendly and long-term cooperation relationship with our customers both home and abroad. Sincerely look forwarding to cooperation with you!